As women of color, we are often held back from doing what we love due to the limitations created and perpetuated by the institutions around us. 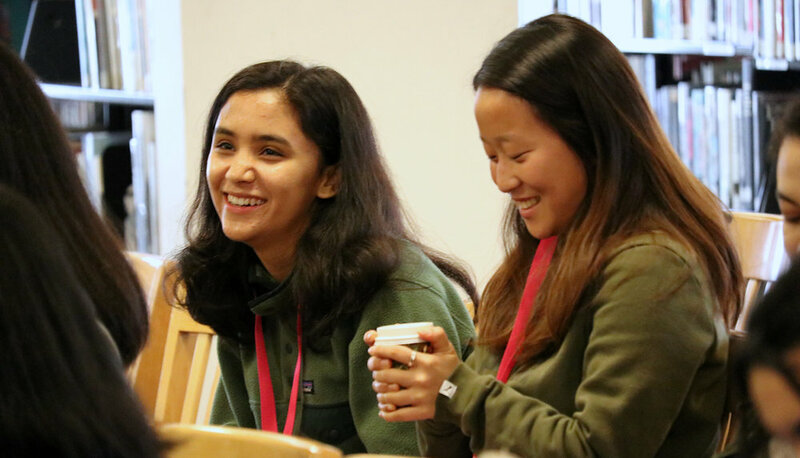 Our conference aims to provide an affinity space for self-identified girls of color to talk and connect, while uplifting the perspective of women of color at private independent schools. 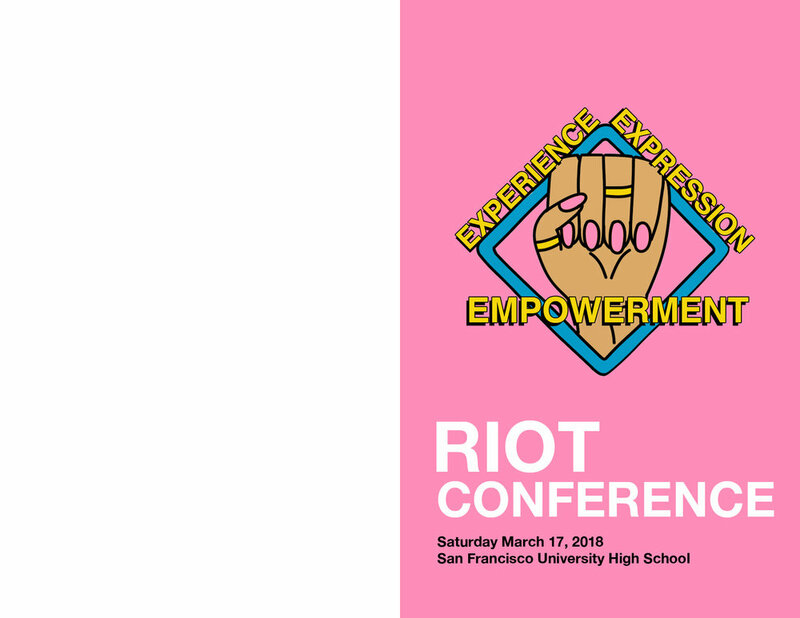 With the theme of our second annual Riot Conference being “Experience, Expression, Empowerment,” we plan to take our space as women of color to encourage ourselves to turn our passions into meaningful, successful careers. In times like today when women–especially women of color–are not given as many opportunities as they deserve, it is important for us to take our space and make sure our voices are being heard. The Riot Conference team recognizes that women of color gain the most power when we take our space and find comfort in one another. Experience things. Express yourself and Empower others. 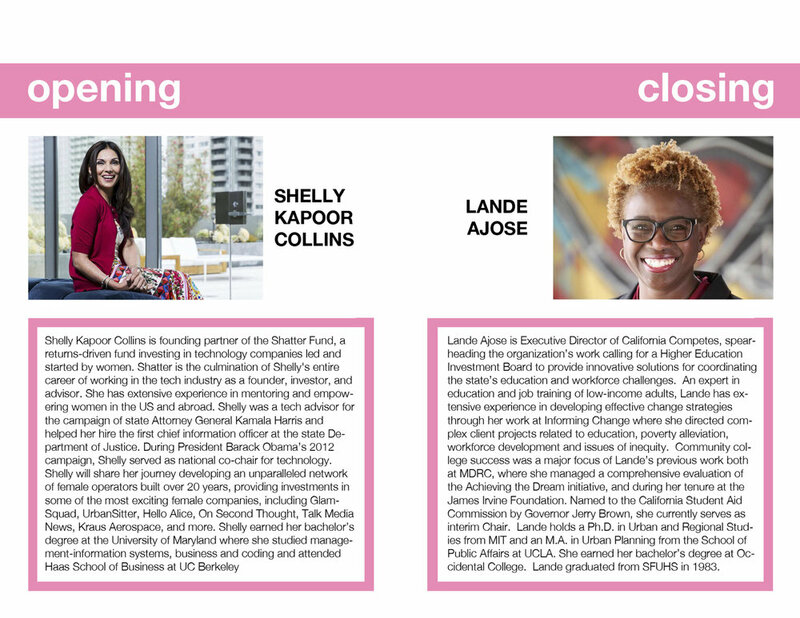 The conference began with Ms. Shelly Kapoor Collins, a founding partner of Shatter Fund, and ended with UHS Alumna Lande Ajose, executive director of California Competes. A group of five women from different career backgrounds joined us for a panel to teach attendees about different opportunities. Additionally, speakers joined us throughout the day to co-teach workshops, lead meditations, and set the day’s intentions. Click below to learn more! Attendees discussing in their workshop breakout sessions. The 2018 Riot Conference was sponsored by 2K Games, Soul Cycle, the Allen Group, Rubicon Bakers, Miss Jessie’s, Philz Coffee, Luna Bar and Dosa. Speakers Vanessa Vigil and Su Yon Yi with moderator Alyza Martinez ‘19. These student-led workshops are affinity spaces that serve to bring our attendees together to discuss important issues pertaining to women of color. 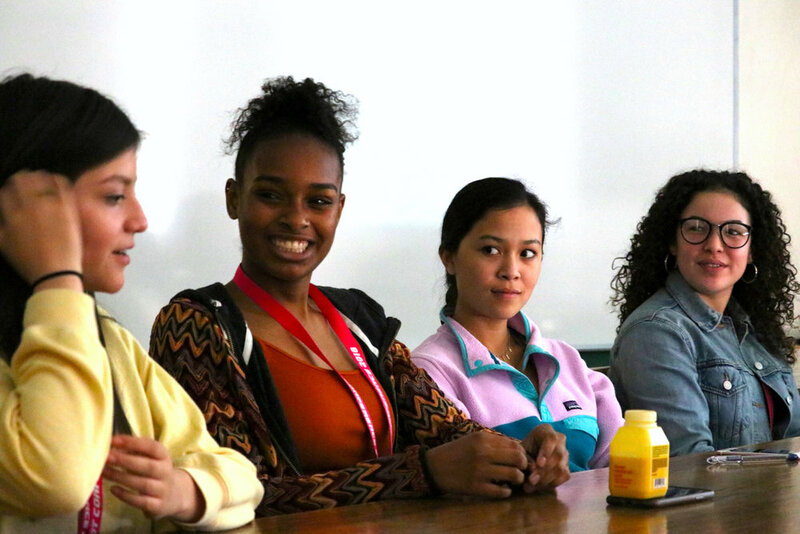 The workshops are intersectional and aim to cover a range of topics that may not be commonly explored in our independent high schools. All workshops were created by students with the help of our special guests. They are educational, empowering, and safe spaces that encourage and welcome all voices.